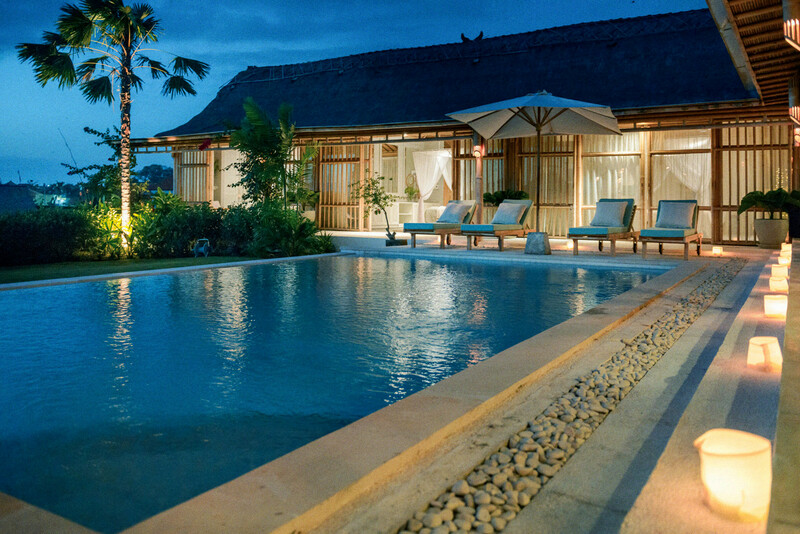 Formerly a private residence, Bloomfield Bali has, over many years, manifested from the family’s vision of boutique style accommodation that combines a contemporary feel with Balinese tradition. 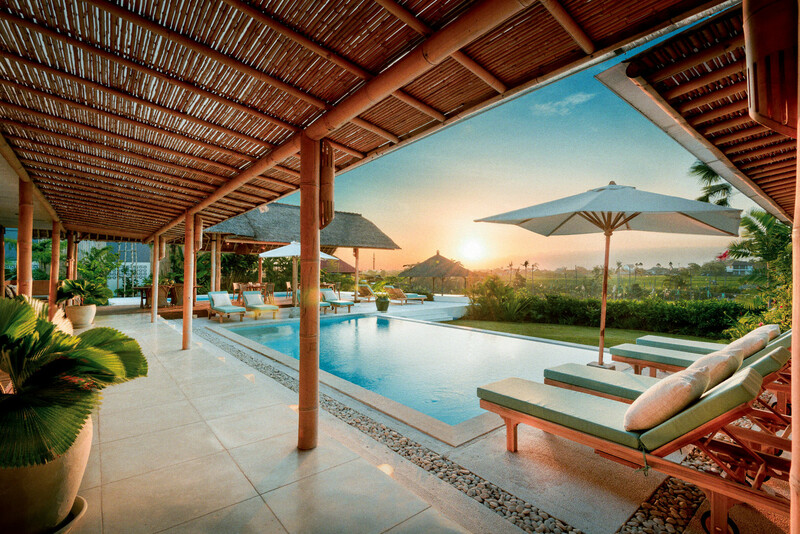 Nestled amongst the sprawling rice terraces of Umalas, Bloomfield Bali offers a tropical island retreat whilst being only a hop, skip and a jump (alright, alright, we mean a 10-15 minute drive) from the hustle & bustle of sophisticated Seminyak and the groovy surf and relaxed lifestyle of Canggu. The lush green garden, beautifully designed and landscaped – sprawl from the entrance and spill out into hotel’s two pools and overlook the rice terraces & the island’s distant, looming volcanoes. 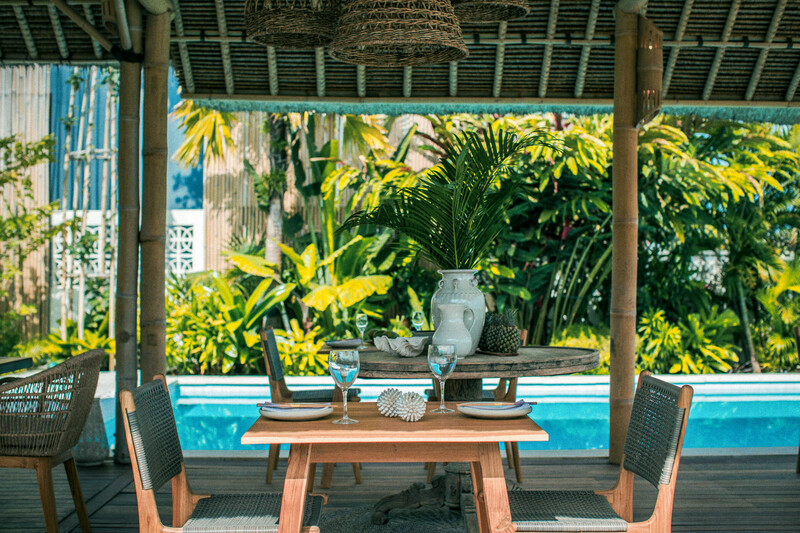 Bloomfield’s eco-friendly design boasts several beautiful handcrafted bamboo structure’s with many lounge, living & dining spaces, which flow from indoor to outdoor. We have a no kids under 14 years policy, unless the entire resort is booked. At Bloomfield we believe in spiritual and physical wellbeing, great service, delicious organic food & perhaps more importantly, fabulous cocktails – best enjoyed on a balmy night by the pool. Our “locavore” philosophy means that breakfast, lunch & dinner are made from scratch, on site, with ingredients sourced from local artisan suppliers and our own organic gardens. Seasonal fruits and vegetables, fresh juices, house baked seed breads, organic eggs, puddings, smoothie bowls, buckwheat pancakes, granola & nut-milk make up our every changing and delicious breakfast spread. Lunch and dinner menus change with the seasons but are always filled with tasty, fresh and innovative modern offerings. Expect dishes such as spicy prawn laab served in lettuce cups with toasted rice and nuoc cham dressing or raw nori bowl with matcha tea noodles, sesame tofu, edamame, asparagus, avocado pickle & soy miring dressing. Shared banquets of BBQ turmeric crusted fish, Moroccan chicken and seafood served with vibrant salads are on offer every evening. All that being said, don’t let the whispers of ‘wellbeing’, ‘energies’ and ‘organic’ send you running for the volcanoes – you don’t have to be an uber-spiritual vegan yogi to enjoy the benefits of our yoga or meditation classes in our open air bamboo studio. Oh, did we forget to mention that you could also just slash the thinking/stretching and opt for the day spa or a Balinese massage on our bale-bale perched on the sunny haze of the rice terraces? Oops. 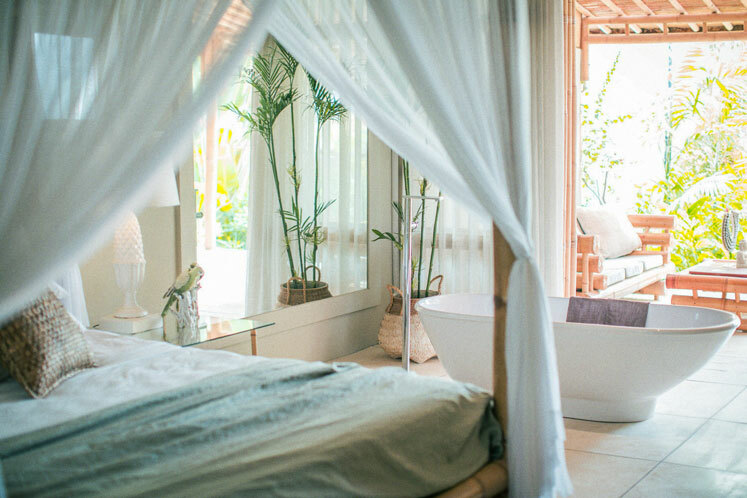 Perhaps the most fabulous thing about Bloomfield Bali is that we tailor your stay to suit you… whether it’s a Wedding, family gathering, girls holiday, couples retreat, yoga/meditation vacay or a single getaway, we are pretty confident that it will be a memorable and happy stay at the Bloomfield….